We are very grateful to the following organizations and people for their commitment to the success of this event. The John T. Vucurevich Foundation facilitates solutions to key challenges facing South Dakota and the Black Hills Region in the areas of health and human services, education and the arts. JTVF provides funding and human resources to make a greater impact on the community through a collaborative approach that creates a sense of shared responsibility among partners and promotes long-term sustainable change. South Dakota Public Broadcasting (SDPB) is an important resource for the community of South Dakota by broadcasting programs that educate with outreach projects statewide. SDPB broadcasts more than 150 hours of programming each year and is proud to offer education resources for all of the citizens of South Dakota. Millions of people utilize the SDPB.org website yearly. SDPB will be broadcasting live from nearly a mile underground at Sanford Lab for Neutrino Day on Friday, July 7, 2017 from 10:00 a.m. to noon. Black Hills Energy has been improving life with energy in the Black Hills of South Dakota since 1883. We’re an investor-owned company, and part of the Black Hills Corporation, (BHK) family.Our customers in the Black Hills region live throughout western South Dakota, northeast Wyoming and southeast Montana. Our success is founded upon providing safe, reliable energy when and where it’s needed, and through our commitment to live and work safely every day. South Dakota School of Mines & Technology is a thriving research university preparing leaders in engineering and science. Located in Rapid City, South Dakota, SD Mines is involved in five high-level scientific research projects being conducted or planned a mile underground at the Sanford Laboratory and was recently named “#1 Best Public University for Return on Investment” by The Wall Street Journal. 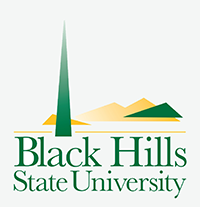 Black Hills State University provides the ideal environment for collegiate educational opportunities for nearly 4,500 students. Our location, just minutes from the Sanford Lab, affords many unique research and outreach opportunities for our students, faculty and staff. Through the Sanford Science Education Center, a collaboration with Sanford Lab, BHSU taps the synergies of deep underground science and the University's legacy of preparing educators to provide outreach to schools and communities throughout the region. Mike Headley is the SDSTA Executive Director and the Sanford Underground Research Facility (SURF) Laboratory Director. Elizabeth Freer is the Principal and Owner of Dialogue Creative Consulting and Project Management. Mike and Elizabeth are married with one child and live in Spearfish, South Dakota. They are both passionate supporters of SURF’s K-12 STEM education activities. Casey Peterson, CPA, AEP, is Chairperson of the South Dakota Science and Technology (SDSTA) Authority Board of Directors and president of Casey Peterson & Associates, Ltd.—a firm of certified public accountants and financial advisors in Rapid City—which he founded in 1977. Dana Dykhouse is President and Chief Executive Officer of First PREMIER Bank in Sioux Falls. He has more than 24 years of banking experience. He also serves in leadership positions in numerous local and state organizations, including Chairman of Junior Achievement of South Falls, Chairman of the Sioux Empire United Way 2006-2007 Campaign, Chairman of South Dakota State University Athletic Champions Council and Co-Chair of the Forward Sioux Falls. Dykhouse is also a board member for the SDSTA. Ron Wheeler previously served as executive director of the South Dakota Science and Technology Authority (SDSTA). During his five-year tenure, Wheeler directed the re-opening of the former Homestake Gold Mine as the Sanford Underground Research Facility (Sanford Lab), including rehabilitation of the Ross and Yates shafts and the construction and outfitting of the Davis Campus on the 4,850-foot level. He was appointed to the SDSTA Board in 2013 and serves as Vice Chair. Christen and his wife Muffy started the First Western Bank chain in 1976. They sold the 17 banks in western South Dakota in 2008 and currently own First Western Agency, an insurance company group headquartered in Huron. Paul Christian is a board member for the SDSTA. Duhamel Broadcasting Enterprises has been in the broadcasting business for nearly 80 years in the Black Hills. These stations include X Rock 101.1 / 103.5, Radio 1380 KOTA, Eagle Country 95.9 / 96.3, SHE 106.3, and Q 92.3 Classic Hits. Listen live, over-the-air or stream online to hear a great variety of media in the Black Hills. 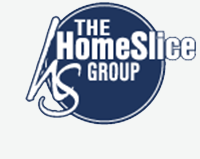 The HomeSlice Group is a conglomerate of media and entertainment businesses operating in the Black Hills of South Dakota. Its market-leading cluster of radio stations includes KAT Country 98.7, Hot 93.1, 93.9 The Mix, 100.3 The Fox, Smash Hits KKLS, and KBHB – The Big 81. Other operations include Rapid Digital Solutions, the Loud American Roadhouse, and is the world-wide exclusive Licensing Agent of the Sturgis® Motorcycle Rally™. Today’s best hits—without the rap! This radio station is produced by Haugo Broadcasting and brings the Black Hills its own selection of music based on listener trends and preferences. Tune in to HITS 102.7 on your radio or online via a phone, computer, or mobile device for live, local broadcasting. KEVN TV began broadcasting in the Black Hills area in 1976. Twenty years later, it became the local FOX affiliate. Today, it is known as KEVN Black Hills FOX TV. KEVN produces two local news broadcasts: The Six, weeknights at 6 p.m., and Black Hills FOX news at 9 p.m., Monday–Sunday at 9 p.m. KEVN is part of Gray Television. We champion education, science culture and innovation through design. Simpsons has been designing, printing and distributing communications-related products across the upper mid-west since 1965. Three generations have built a thriving family business through investing in their employees and implementing ground breaking technology to serve customers' needs. From start to finish, projects are completed with handcrafted professionalism and pride. As the Black Hills's exclusive all-in-one parenting resource, our readers enjoy local family spotlights and event calendars, educational articles for all ages and stages of parenting (infants to teens) and stories with entertainment and positivity. Black Hills Parent's editorial content is fresh and relevant as we strive to help our readers feel understood, supported, and empowered to make healthy parenting decisions and life choices. Find our current issue online at blackhillsparent.com or contact us for a printed copy of your own. 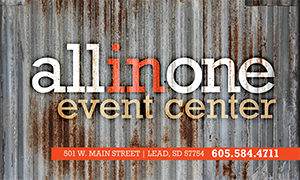 A full-service performance and event facility in downtown Lead. Address: 501 S Main St.